A wedding is the most emotional day for every couple. It is the day filled with joy, fun, emotion and special moments. The gifts offered by the guests play a major role on this day. It will show how much you care for the bride and groom. 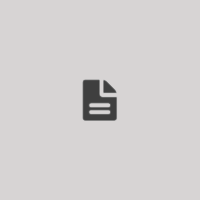 People think of various alternatives that will certainly make both individual happy and contented. Nowadays one of the exceptional gifts that are making a buzz all across the globe are custom bobbleheads. These dolls are special and can turn a boring event into an excited one. 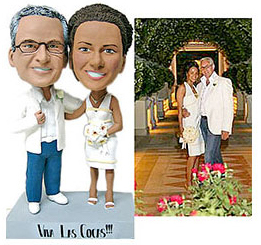 These custom bobbleheads are fun, unique and look similar to the couples. It will be definitely a surprising moment when you will present it to both the individual. It is not wrong to say that they are the perfect gift to leave a long and lasting impression on the friends, family and other guests present on the event. They are versatile as they are ideal to gift on the day of anniversaries as well as valentine day. 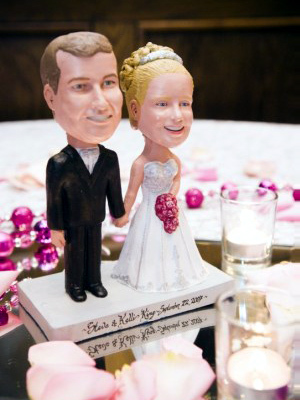 Moreover, they can be best suited as the wedding cake toppers. Your loved one will be glad and overwhelmed with this amazing and unique gift. The exceptional thing about these custom bobbleheads is that they are affordable and convenient gifts. Unlike any other gifts like flowers, candles, accessories etc. these dolls are cheap and amazing. A person getting these custom dolls as a gift will certainly cherish these moments forever. Are you wondering how these dolls are exactly made? If yes, then here is the answer. 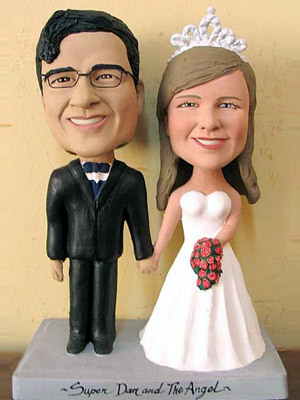 Basically these custom cake toppers are made from the photos and exactly resemble your costumes, smile, hairstyle and look. It is the wonderful way to show your love and care. These funny dolls can make any dull and gloomy events like weddings, anniversaries or valentine day a successful and exciting one.